knights and dragons: Rise of the Dark Prince, often shortened to just Knights and Dragons, is at the forefront of city-building games on iOS devices. 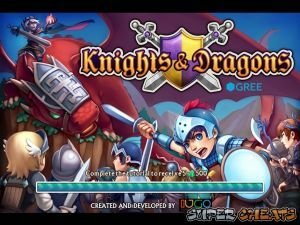 Developed by Japanese company Gree, it is free-to-play, meaning you can download and enjoy it completely free, but then have the option to purchase in game add-ons, boosters, and shorten the amount of time it takes to do things. This guide aims to cover all of The Basics to knights and dragons, as well as going into finer detail on certain areas where this is most useful. If you have anything to add, please feel free to leave a comment! More will be added to this guide over time, as new content is added to the game and new strategies are discovered. ADD ME AND HAVE FUN. Add me as a friend and I will return the favor WBQ-CNV-NDP active and will be as helpful as you need.